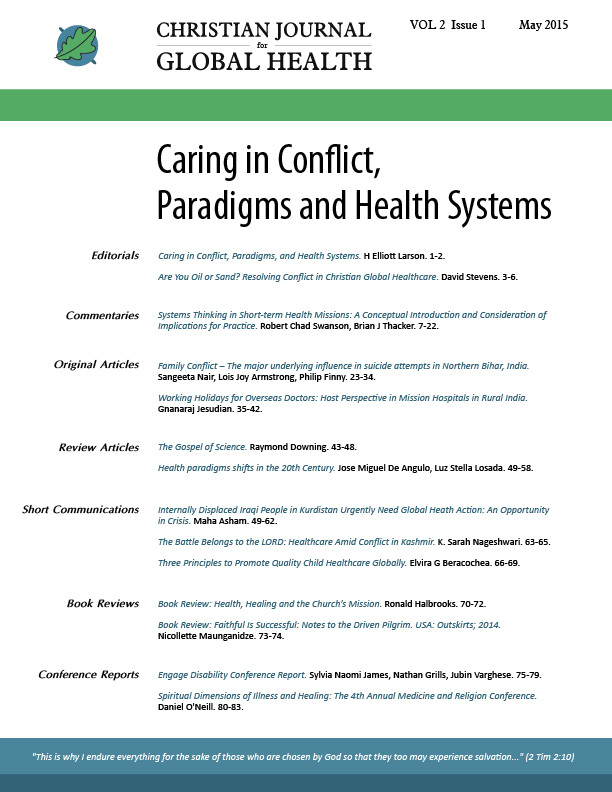 Addressing healthcare in conflict, this issue focusses on refugees from the conflict in Iraq, violence in Kashmir, and family conflict and suicide risk in India. Also looking at health systems thinking for short-term missions, 20th Century health paradigm shifts, surgical care in India, and practical best practices for child health. Family conflict : The major underlying influence in suicide attempts in Northern Bihar, India. Book Review: Faithful Is Successful: Notes to the Driven Pilgrim. USA: Outskirts; 2014.